WISCONSIN RAPIDS – Mid-State Technical College will host a Spotlight on Health at its Marshfield Campus on Wednesday, Nov. 7, from 5 to 7 p.m. The free, open-house style event invites high school students, parents and community members to learn about a variety of high-demand career options in healthcare and the education Mid-State offers to prepare graduates for success. The event includes a short presentation on Mid-State’s health programs, information about Dual Credit opportunities and a chance to meet and talk to instructors. Through hands-on demos, participants will also be able to explore the programs, including EMT, Nursing, Nursing Assistant, Respiratory Therapist, Medical Assistant, Central Service Technician, Surgical Technologist and Phlebotomy Technician. 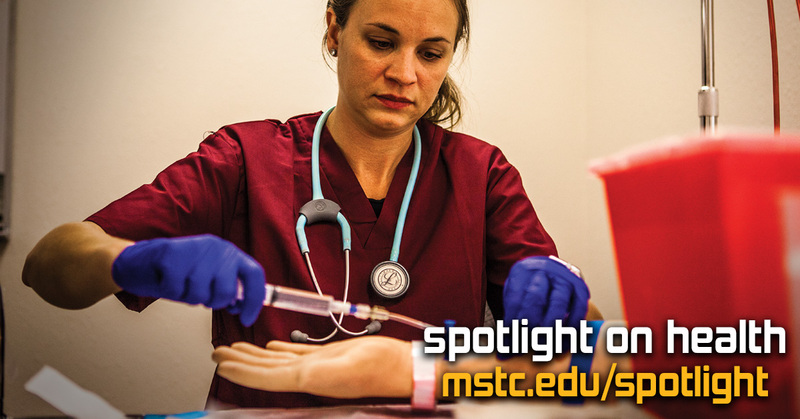 Those interested in attending the Spotlight on Health can get more information and sign up at mstc.edu/spotlight.